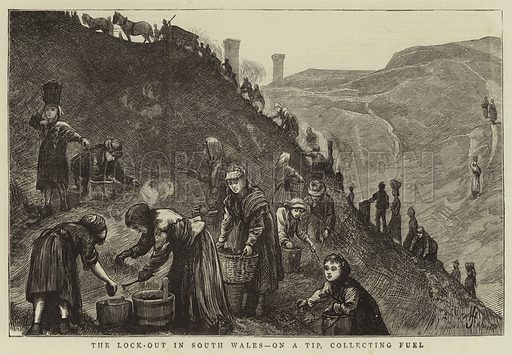 The Lock-Out in South Wales, on a Tip, collecting Fuel. Illustration for The Graphic, 20 February 1875. Available worldwide for immediate download up to 5,488 x 3,797 pixels.